First of all, thank you for buying this theme. To make your experience pleasant, we've added as much info as needed in this documentation. While we have tried to keep an easy-to-use user interface, we understand that you might have some questions about installing and using our theme. Following is a detailed step-by-step guide to help you with most of the questions or issues that you may be experiencing. To help you quickly locate what you are looking for, we have created an extensive menu for this document at your left side. Please use it to navigate to the desired section. Can't find what you need? Contact us via Support Forum. We will respond in the shortest time possible. 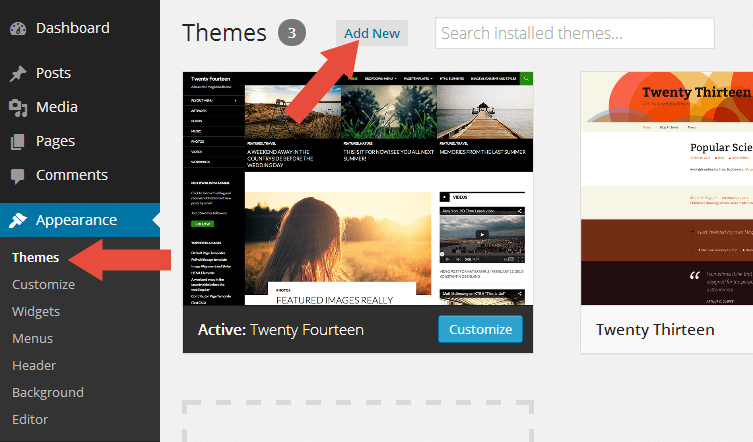 There are two methods to install the theme. If the normal installation method (a) is not supported by your web host, you will have to use the alternate option (b). Click the Add New button at the top. Click the Upload Theme button at the top. Click the Choose File button and navigate to the location of the theme zip file posted.zip. Wait for the success message, then click Activate. Unzip the theme zip file posted.zip. Using an FTP client to access your host web server. Go to /wp-content/themes/ and place the theme folder inside it. Locate the theme thumbnail and click the Activate link. ImportantAfter activation, you will be presented with several plugins that you have to activate. Do not forget to activate them all or not all of the theme features will be available. Posted recommends a few plugins to extend it's functionality. These plugins can be installed automatically from the notification in WordPress Administration Panel (Dashboard). Although, Posted will work perfectly without any of these plugins, you may want to extend the theme's features with them. To import content from our demo! This plugin will give you a freedom to create custom home page with drag n drop and live preview it! Add extra features like widgets, metaboxes, and custom Elementor widgets. 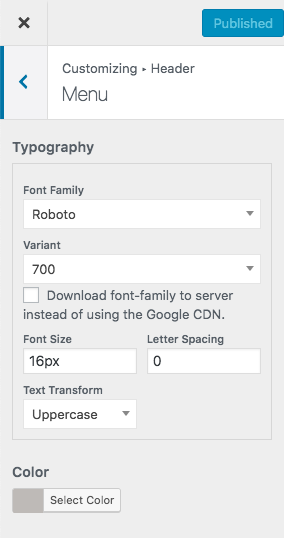 If you need a contact form, you can use this plugin. Add additional compare function to the shop. Add additional quick view function to the shop. Add additional wishlist function to the shop. Log into your Dashboard page. Go to Appearance → Install Plugins. Click install link below the plugin you want to install. We have included Posted with one-click demo importer feature. You can easily to import content from our demo then you can edit it with your content. But first please install all recommended plugins. Please take a look the Installing Recommended Plugins section to read how to install the plugin. After that please go to Appearance → Import Demo Data, then click the Import Demo Data button. Depending upon the number of content, images and server speed, the process may take long to complete. ImportantYou must install all the recommended plugins before import the demo data. First thing first, you must install all Recommended Plugins except One Click Demo Import plugin. Then please download this zip file, it is the Elementor templates. Next, go to your WordPress admin. Access Elementor → My Templates. Click the Import Templates button. Click the Choose File button, pick the file you just downloaded then import it. You will see the templates imported. If you don't understand how to use the template, Elementor has a great video explanation, please go to https://docs.elementor.com/article/60-library. WordPress child theme allows you change the functionality of the theme without having to edit the original/parent theme template files. If you plan to making any customization, we recommend to create a child theme instead of editing the theme template files. Since the child theme is stored separately, you don't need to redo the changes next time you upgrade the theme. If you are migrating from another theme, then upon activating Posted you may find previously added images display strangely with weird aspect ratios and sizes. Don't worry. It is normal. The image thumbnails are required to be recreated using Posted's presets. There is a very easy fix to this issue. Just install Force Regenerate Thumbnails plugin. Depending upon the number of images and server speed, the process may take long to complete. After it done, you can deactivate and delete the plugin. The Site Icon is used as a browser and app icon for your site. 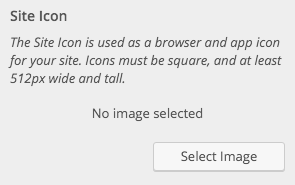 Icons must be square, and at least 512px wide and tall. How to Upload your Icon? You will see the Site Icon uploader. You will see the Logo uploader. How to Upload your Retina Logo? You will see the Retina Logo uploader. Posted supports the custom menu function to allow you to setup your menus. You can set it through following steps. To create a new custom menu, click the create a new menu link, give the menu a name, and click Save Menu button. You can add pages, categories or custom link's to the menu using the boxes at the left, add items to the menu and drag/drop to arrange them. And, be sure to select Primary Navigation and Mobile Navigation as the Theme Location before saving your menu. 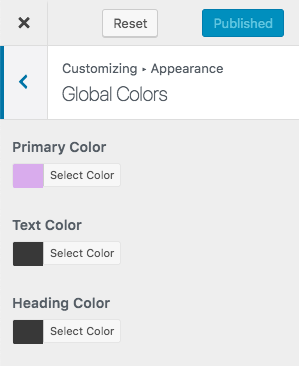 Posted allows you to customize the menu appearance such as font and colors. There are a couples of options to customize the Menu including sub menu. 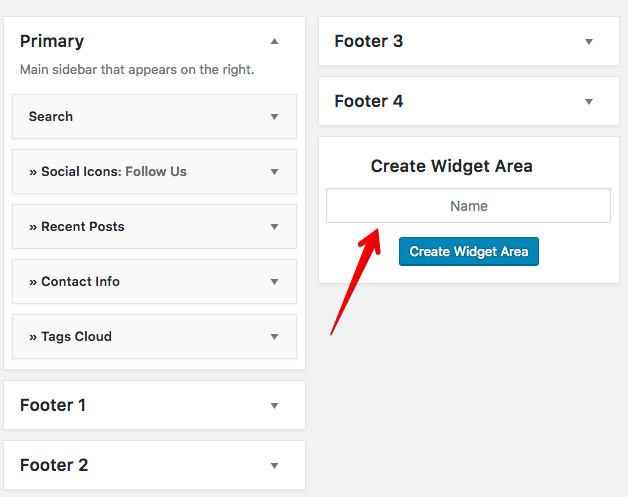 Posted comes with 11 custom widgets to give you more flexibility to customize your site, but you must install and activate the TJ Extras plugin to enable these widgets. Primary Sidebar: Main sidebar that appears on the right of your site. Footer Sidebar(1,2,3,4): The sidebar that appears at the bottom of your site. There are a couples of options to customize the widgets. 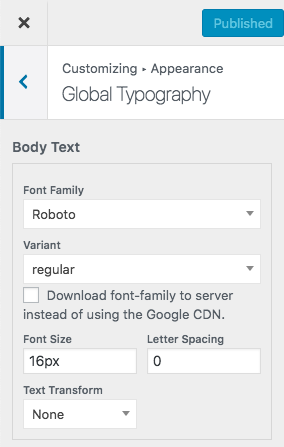 By default, Posted uses Roboto font as default theme font family. But Posted provides an option to change it in case you dont like it. It is easy to change it, please follow the steps below. You will see the settings for body and heading text. You will see the option to change the color. 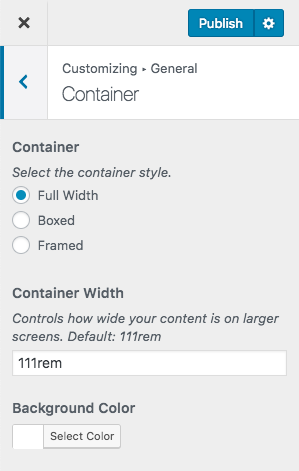 Posted also provides two more options, container width and container background color. You will see the options. Sidebar generator is a feature to create an unlimited custom sidebar. It will be useful if you want to show different sidebar for special page or post in your website. You will see the generator area like the picture above. Type the name first, then click the Create Widget Area button. Go to Posts or Pages Add New page. Scroll to the bottom, you will see the meta box to switch/change the sidebar like the picture above. My Library is a special feature to create custom header and footer for your site using Elementor page builder plugin. You can create unlimited number of header and footer design. To access the setting just go to Appearance → My Library. Fill in the Title with the name you like, such as Footer with Subscribe Form. Then click the Edit with Elementor button. After you in Elementor editor, click the Gear icon at the bottom left area. Switch the Page Layout to Elementor Canvas. Then you can start designing the footer to fit your needs. Don't forget to Update/Save your changes. 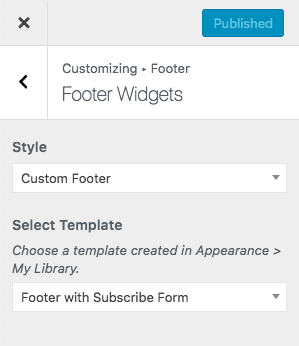 Switch the Style to Custom Footer. In Select Template choose the footer you designed before. Hit publish button and done! Elementor is a page builder that fully integrated with Posted. After you install and activate it, there is a simple task you need to do. Please check those two options to disable Elementor's default style, this will activate the built-in style from the theme. After that click the Style tab. Find Content Width replace with 1170. If you are not familiar enough with Elementor please read their useful documentation https://docs.elementor.com/. We provide 8 custom Elementor widgets to display various of blog layouts, a custom logo, menu and search icon to build your custom header. Before translating the theme, you'll need to make sure WordPress is setup correctly with your locale. Open wp-config.php and modify the line below. Open posted.pot in Poedit. Translate as needed. Save the file with the locale. For example, if you translate the theme to German language then you would save your files as de_DE.po. Copy both these files(de_DE.po and de_DE.mo) under the languages folder of posted.